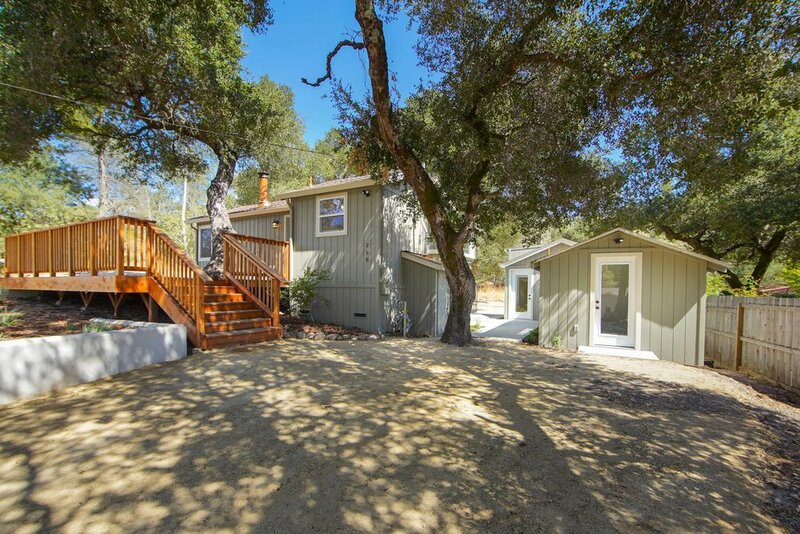 Welcome to 260 Longfellow in beautiful Ben Lomond! This property has come a long way this year and is now ready to be called home. 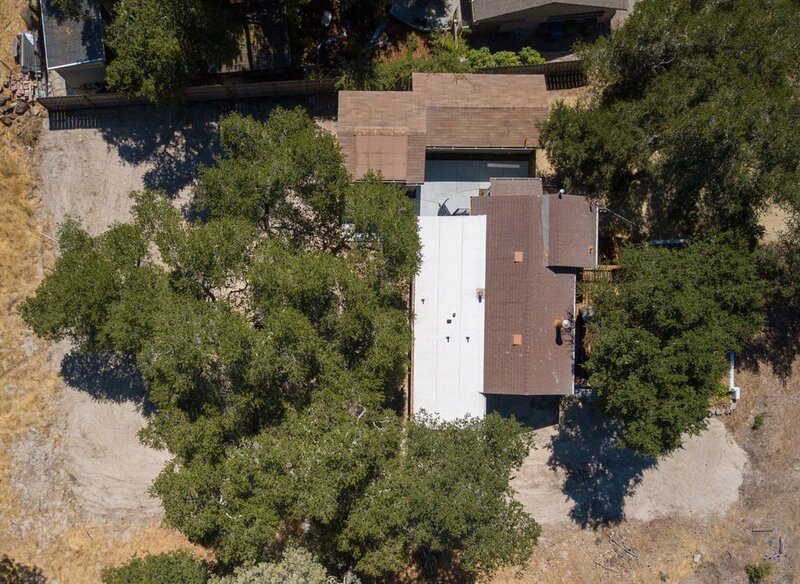 A complete remodel from head to toe makes this listing stand out in this quiet neighborhood. 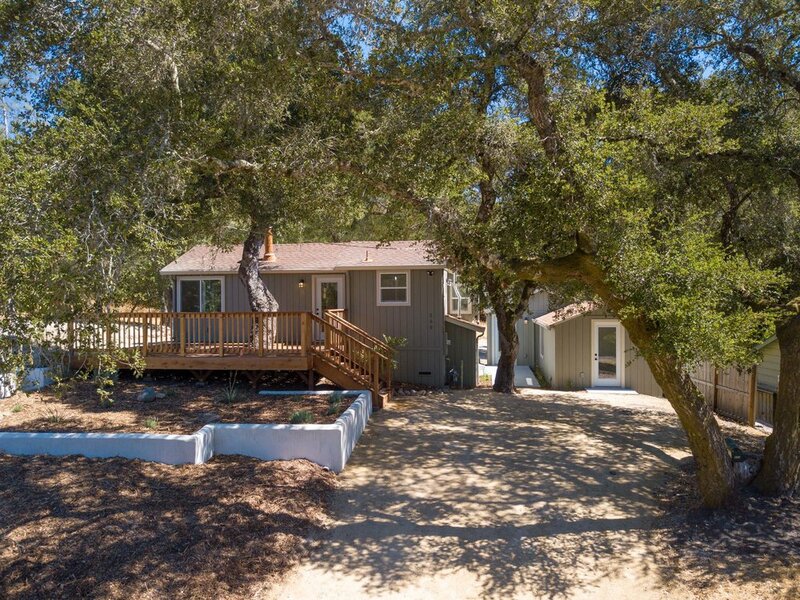 Nestled under and among large stunning oak trees the house receives an amazing amount of both sun and shade throughout the day, a rarity when looking for homes in the woods. 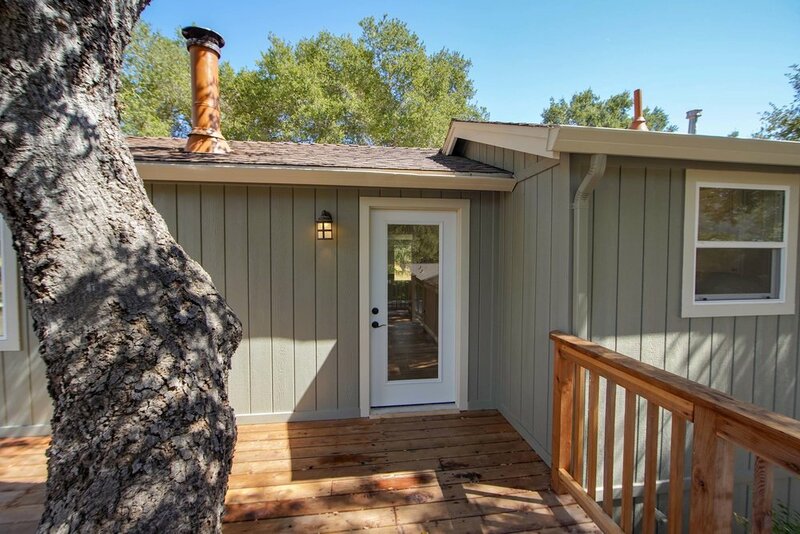 Upon arrival you’ll notice the brand new deck wrapping around one of the many oak trees which would make a great spot to enjoy the mountain sunsets. This natural light floods in through the newly installed windows. 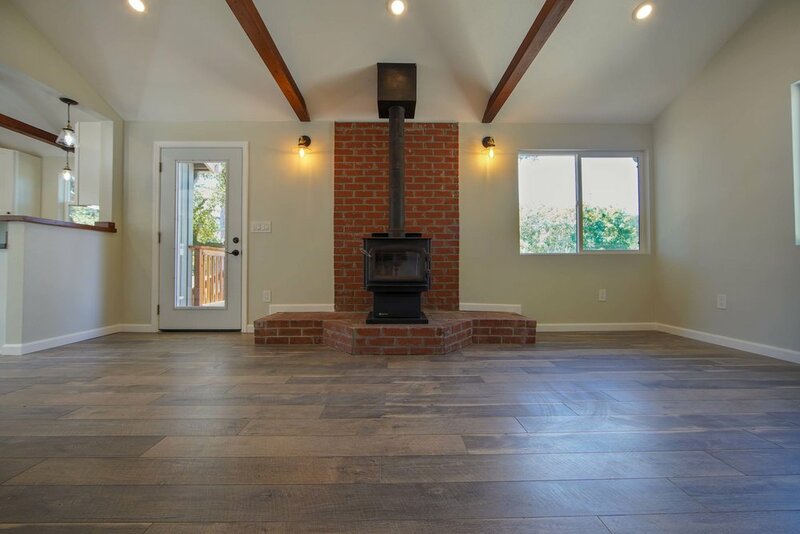 A wood fire stove set on classic brickwork is featured in the main living space and helps to creates the classic feel while keeping you warm through the chilly winter months. You’ll want to spend time in this living room with it’s fresh hardwood flooring and vaulted ceilings with exposed wood beams. 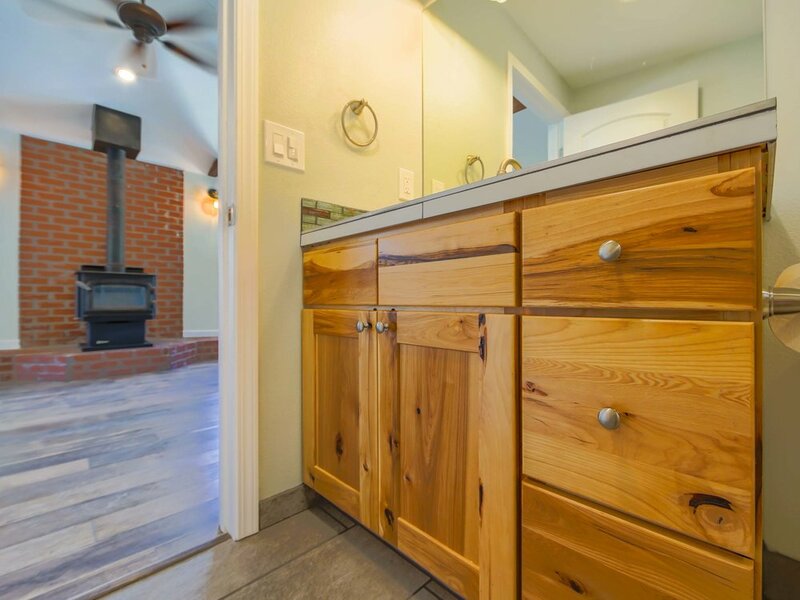 The kitchen has of course been updated with solid quartz countertops and dark whirlpool appliances set in beautiful contrast with the fresh white cabinetry. Additionally, there is good sized detached bonus space full of opportunity with large windows and new hardwood flooring. With thousands of acres of redwoods, Santa Cruz Mountains offer a unique experience of coastal redwoods that has left countless visitors speechless. These trees are rich with history and awe. One thing that makes this town a treasure is how it’s surrounded by amazing hiking trails through giant redwood trees. 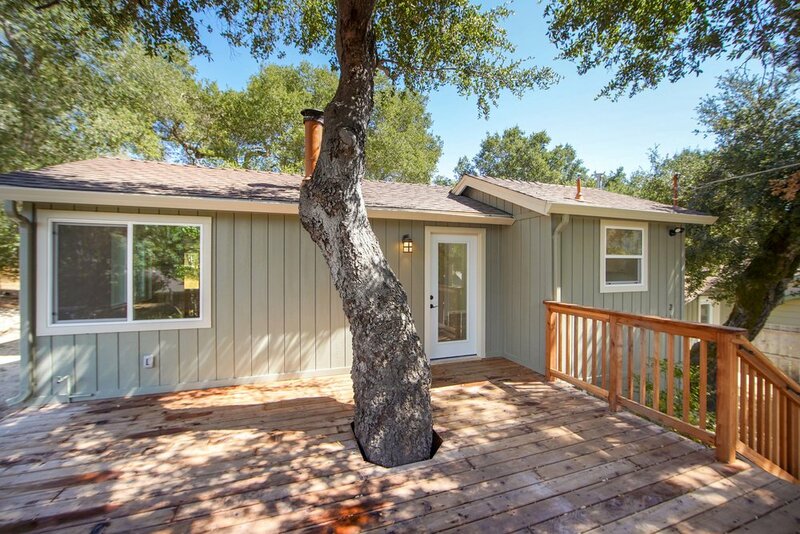 Get lost in the forests of the Santa Cruz Mountains and find a little peace. Home to a handful of award winning coffee roasters and master brewers, Santa Cruz area boasts a vibrant community of artisans making each day taste a little better. Biking is one of the most popular activities in Santa Cruz. Whether you enjoy long road rides along the coastline or the thrill of downhill mountain trails, Santa Cruz has you covered.